Rolex has for decades been the largest high end Swiss watch brand and produces far more than any other Swiss watchmaker. A fact that most people are aware of. But what’s not so well known is the fact that Rolex produces watches other than those of the famous Oyster models like the Submariner, Day Date, Explorer and Daytona, to name a few. To be fair of course, some will remember the gorgeous classic chronographs on leather straps and the rectangle Prince models, that came back into the collection, in a larger case and new mechanical movement. 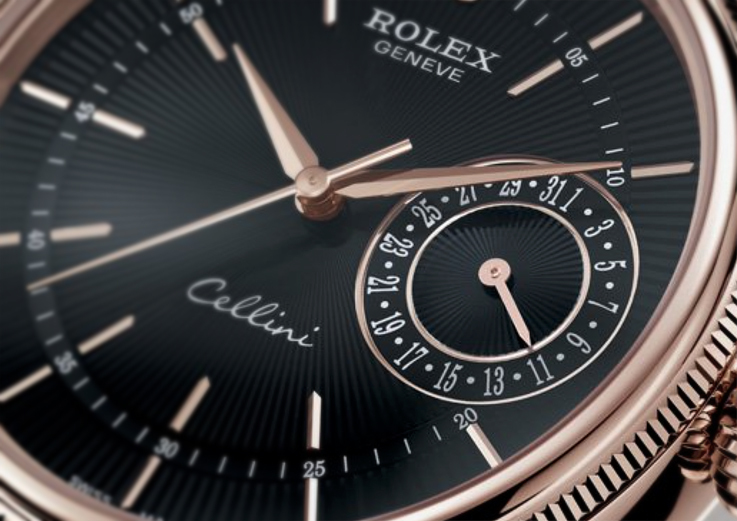 The models that I was triggered by, during the last Basel World presentation, were the new Cellini’s. Now coming as a more serious dress watch in a gold, non-Oyster case on a leather strap with pin buckle and a classic looking dial. 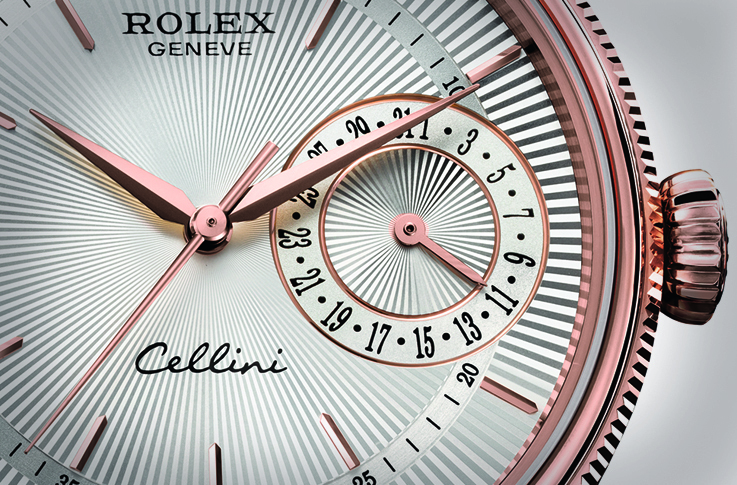 The Cellini collection is not that new, but the 2014 collection showed us three new models and all three in a choice of a white- or a pink gold 39mm case; The Cellini Time, Cellini Dual Time and the Cellini Date. It is the Cellini Date that grabbed me because normally I do not even look at a classic looking dress watch with a date window, since many brands usually cut a hole out to display it, spoiling the dial. 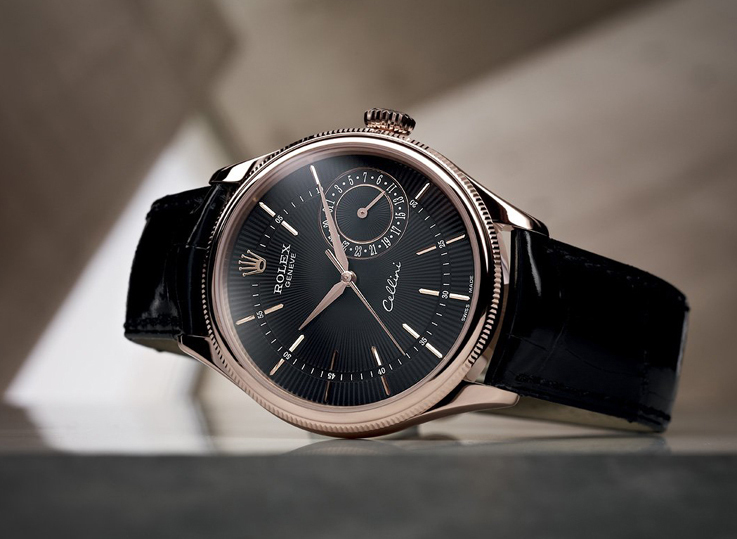 Rolex designed it differently and let the date indication, occupy a large part of the dial and I am glad it does, since it is a beautiful and clear visual solution. It proves that a date can make a dial very attractive, when it is done in a creative way! A splendid instrument to project yourself in time, this calendar displays on a single dial, the days gone by and days to come: yesterday, today and tomorrow. 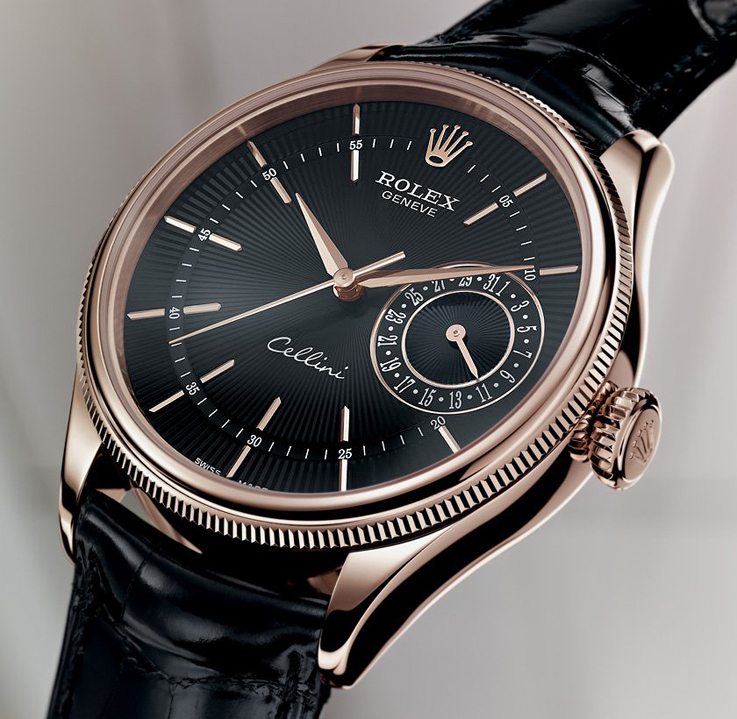 Rolex used their self winding mechanical movement, COSC-certified chronometer with 48 hours power reserve. Like most Rolex watches, the back of the Cellini cases are closed, except for the Prince series. TThe Cellini Date model is offered in two dial versions: with a black or silver dial featuring a “rayon flammé de la gloire” guilloche motif, all depending on your personal taste and style. 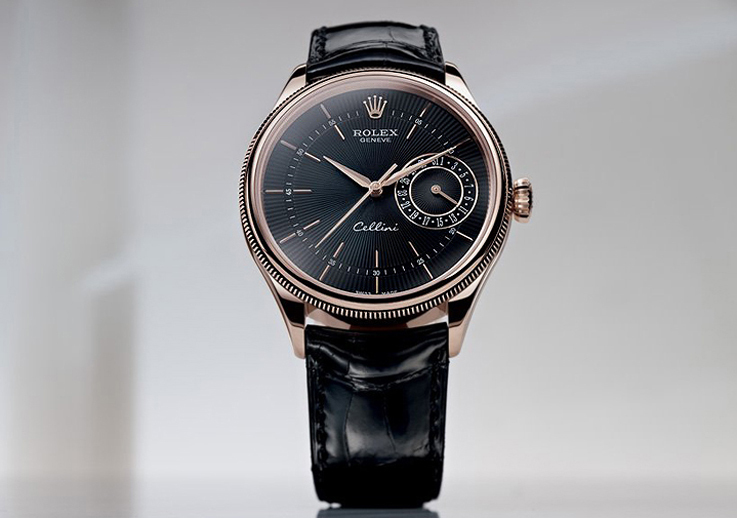 Yet, no matter which dial you prefer, the Rolex Cellini is always classy and discreet. It might not be recognized by your mother-in-law, but this Rolex will be a great companion through every moment in life; from a casual dinner with friends, to signing on that new, million dollar client, this Cellini is the Rolly that does it all!